Some days are harder than others. Days we hold back tears as we watch our children struggle with health issues. Days when blood must be drawn from tiny veins, days when sensitive skin must be pierced with an array of toxins. Whether it's food allergies or something so much worse, sometimes it feels as if your heart breaks within the death grip of a vice, your hope is slowly, agonizingly being pressed out. There are days when you ask yourself, Why can't it be me? Aren't I so much better equipped? Why does she suffer so? 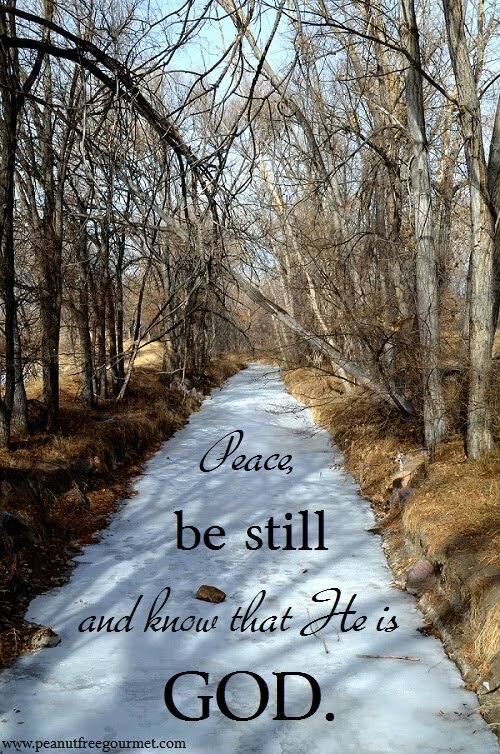 On those days, please remember to be still, if just for a moment. There is someone greater and far more powerful in control. Wishing you a peaceful Tuesday morning.